The USFS has published three forest plan alternatives for the Pisgah-Nantahala. When one of these alternatives or a version is adopted, it would create the management guidelines for the forest for the next 20 years. However, it could be better. 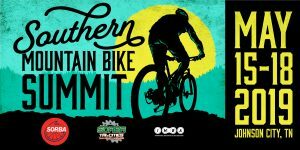 As some language in the alternatives allow some wiggle room for expanded MTB access, none of the alternatives address the overwhelming lack of mountain bicycling opportunities in the Pisgah Grandfather District. IMBA – SORBA, many of its chapters, and numerous environmental groups signed an MOU last year that addressed this issue head on. Nothing in the alternatives indicates that the USFS took the MOU singed by a diverse group of forest stakeholders. I know hundreds of individuals urged the USFS to consider the MOU recommendations. This MOU proposed alternative designations for Wilderness Study Areas and recommended that these areas be considered for a National Recreation Area. This designation would allow maximum protection of the landscape while permitting mountain biking. The MOU also supported some Wilderness expansion in areas where there is no existing or planned future mountain biking trail. The USFS will accept comments from the public address its three alternative proposals. 1. We are pleased that the alternatives are friendly to Mountain Bicycling. We are grateful for that. 2. IMBA-SORBA recommends that USFS will give the MOU more consideration, including where we would recommend Wilderness. 3. 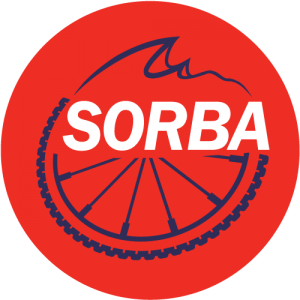 IMBA-SORBA recommends that USFS create another option for the Wilson Creek area that includes options for mountain biking, and address the severe lack of bike-designated trails in the Grandfather district. 4. IMBA-SORBA urges the USFS to recommend National Recreation Area options for the Pisgah and Grandfather Districts.